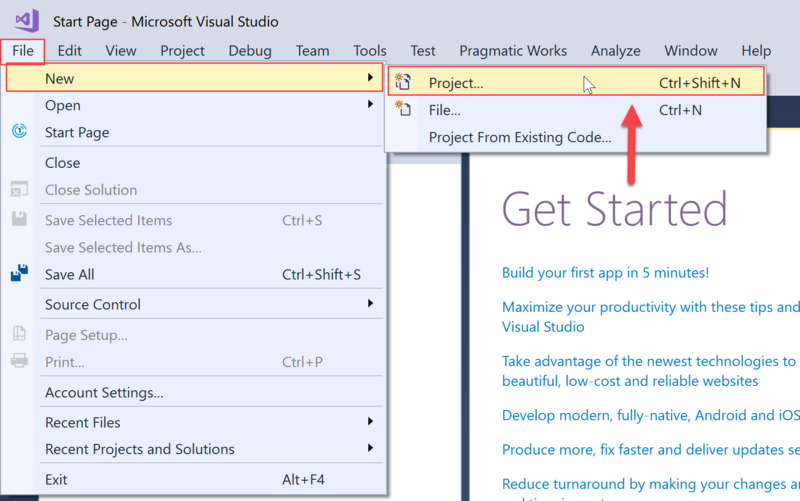 Within Visual Studio, select File > New > Project to open the New Project window. 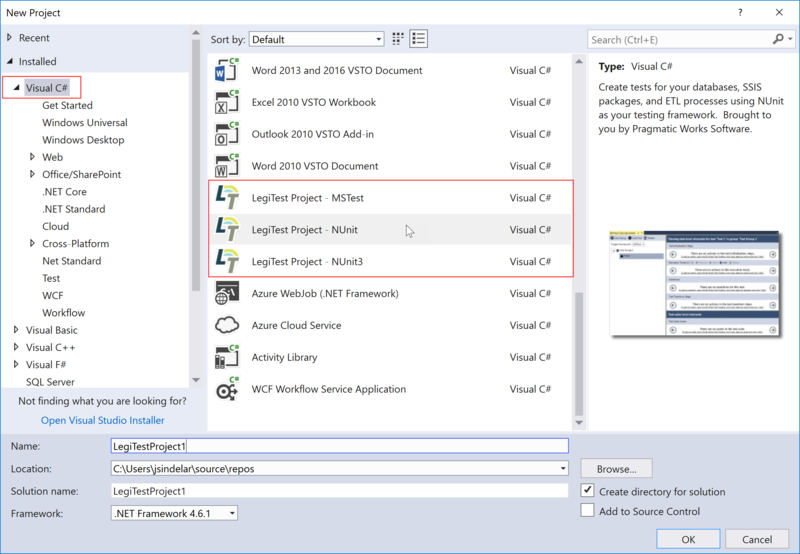 In the New Project Window, expand the Installed Templates tree and select Visual C#. Scroll down and select the LegiTest Project MSTest, NUnit, or NUnit3 Test template. For help understanding the differences, see the Choosing a Test Framework topic in the Visual Studio Extension Overview article. Important: NUnit tests are shown in the Visual Studio Text Explorer window because the NUnit project type includes a reference to the NUnitTestAdapter MuGet package. This allows the Visual Studio test framework to discover and run NUnit tests. When switching a project from MSTest to NUnit, be sure to add a reference to the NUnitTestAdapter NuGet package. For more information, see the troubleshooting article. 4. Provide a meaningful name for the SentryOne Test Project, and then select OK. Note: End the project name in Tests because many continuous integration systems run tests in assemblies with the word Tests in them by default. Success: You've created a SentryOne Test project!